C&D's tribute to the 9th, 10th, 24th, and 25th all-black regiments of US Army. 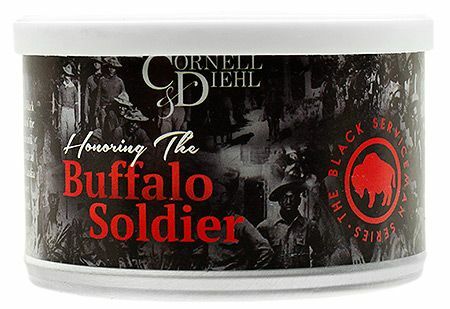 Formed in the aftermath of the US Civil War and serving with great distinction until the advent of WW2, they were known far and wide as "Buffalo Soldiers". Just the right proportions of Latakia and Perique enhance a base of naturally sweet Virginias to create a well-rounded, all day blend.